In this post, I wanted to go back to one of the most basic questions I get asked all the time: “Why should I do Pilates?”. It goes without saying that any exercise is better than none but I believe Pilates is one of the best forms of exercise you can take up – particularly if you’ve only got time for one! My personal experience with Pilates began when I was still a dancer. I found that Pilates did an incredible job of supporting my ballet. Any dancer will tell you that ballet can be punishing on your body and I was impressed with how much Pilates supported me through this phase of my life. This is why I decided to devote myself to Pilates full time when I hung up my ballet shoes. I truly believe it can make a big difference in anyone’s life. The reason I think Pilates is so special is because of its broad range of benefits. In this post I’ve tried to elaborate on the benefits that I’ve already mentioned on other parts of the website. I wanted to put a little bit more detail behind each of these points and give you a thorough answer to why I think you should be doing Pilates. You’ll probably find a lot of websites out there that say Pilates “builds long, lean muscles”. In fact, I have to admit that even our website said this at one stage and until the next print run, our business cards still do. Though this isn’t literally true, for reasons I will explain, there’s a reason that many people have this impression. One might even say that it is figuratively true. You see, it’s actually not possible to really shorten or lengthen your muscles. They each attach to your body at certain points and while they can contract and expand, those points in your body aren’t going to move once you’re fully grown. Think of it this way: no form of exercise is going to make your legs longer (as much as we’d love it to!). Having said all that, there’s a reason that this claim is so pervasive. What Pilates does do is really help to tone and define your muscles in a way that leaves you with a feeling of “length” throughout your body. By providing flexibility, stability and better posture (each of which are addressed below), Pilates can make you feel like it’s making tight and inflexible muscles longer. Many of my clients have even said that they feel “taller” after taking classes. While they aren’t literally taller, anyone who practices Pilates can tell you why they feel this way. What is true is that Pilates conditions your muscles to be supple and strong. In combination with the postural improvements that most people experience, this gives you an overall toned and defined look which – let’s be honest – we’re all after! Bad posture affects the whole body, from the neck down to the feet. While only some people suffer from serious postural problems, I would go so far as to say that the majority of people suffer from some sort of postural issue in this day and age. Unfortunately, the way most of us live our lives, hunched over our desks, sitting for hours on end, just isn’t conducive to good posture. Fortunately, proper alignment of the spine is an essential focus point of Pilates. Pilates does this by strengthening your back in a neutral position, maintaining the natural curves of your spine. Essentially, Pilates strengthens those important muscles in the way in which you actually use them in day to day life, helping to support the spine, relieving pressure and avoiding injuries or pain. Pilates doesn’t only help you by strengthening the right muscles though. Focusing on posture during your class helps to build an understanding of what a lengthened and supported spine feels like. This important awareness helps to apply correct posture in all aspects of your life, from sitting at your desk all day to walking through the aisles at the grocery store. By teaching you how to stand correctly, Pilates helps you feel better and prevent injuries in your day to day life. As an added bonus, this will help you feel more energetic and will also make your body look better. In my opinion, these postural benefits alone are a great reason to try Pilates. In Pilates, we work toward a balance between strength and flexibility. Too often people work really hard to strengthen their bodies but forget that flexibility is just as important for a healthy body. Tight muscles affect your mobility and can lead to tension, aches, and pain. We build up to a safe increase in flexibility of the muscles and an increased range of motion within the joints. In combination with improved core strength, this supports better posture and balance and helps to prevent injury. While I think that Pilates is a great place to start, it’s even better to have other forms of exercise in your life. I think this is particularly true where this might be an activity that you pursue, not only for its fitness benefits, but as a rewarding hobby or passion. Because Pilates exercises can be modified to suit a specific body with specific needs, Pilates can be adapted to support many others types of activity. For example, it can be adapted for dancers who need strength and flexibility, golfers who need to correct muscular imbalances, horse-riders who need to work on alignment and runners who need rehab for injuries. All you need to do is tell your instructor what activities are important to you and he or she can create a program that will complement them. If all those benefits weren’t enough for you, Pilates also helps you in other important areas. For instance, Pilates places emphasis on deep breathing which improves oxygen intake and blood circulation. Good blood circulation is important for the overall health of your body as every cell in your body relies on oxygen to function. In order to have good balance, you need to have a strong core and you need to have it activated automatically at all times. How do you achieve this? Practice! And practice is something you will get plenty of in your Pilates class. Learning how to engage your core is a key part of the discipline and something that you will be doing in every session. 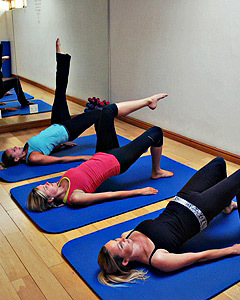 Finally, Pilates will also help you to improve your coordination for much the same reason – you will practice it. Many exercises you will do in a Pilates class – particularly as you become more advanced – will require great balance and coordination. By practicing at a high level of difficulty, your body’s ability to move effectively will improve in all aspects of your life. The most common form of pain I come across in the studio is back-ache. I’m sure you’ve heard plenty of people in your life complain about a sore back at some stage or another as well! 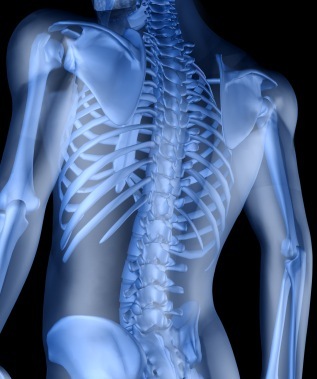 Most back pain results from bad posture, weak supporting muscles or muscular imbalances. Pilates addresses each of these potentially problematic areas as I’ve outlined above: it improves posture, strengthens muscles and irons out imbalances! Abdominals, scapular stabilisers and glutes are a common source of these kinds of problems and for this reason, they are worked thoroughly in every class. Pilates also stretches out the tight and overworked lower back muscles, helping to relieve the tension caused by our busy everyday lives. Maybe it’s time to give Pilates a try! So there you have it! As you can see, there are a lot of reasons why doing Pilates can really improve your body and, by extension, your quality of life. If you’d like to know more about the benefits of Pilates or anything else Pilates-related, feel free to leave a comment below. This entry was posted in More on Pilates by Di. Bookmark the permalink. Dianne Piketh trained as a dancer before becoming a Pilates instructor. 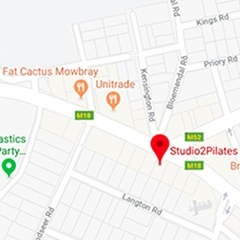 In 2009, she launched Studio 2 Pilates, a boutique Pilates studio in the Southern Suburbs of Cape Town. I WOULD LIKE TO FIND OUT ABOUT YOUR CLASSES FOR MY DAUGHTER ,SHE HAS TO EITHER TAKE YOGA OR PILATES. WHEN ARE YOUR CLASSES AND WHAT ARE YOUR MONTHLY FEES? Thank you for getting in touch! I’ve sent you an email with all the requested info.